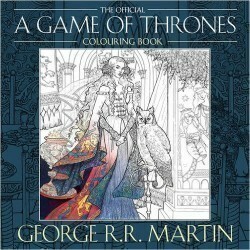 The perfect gift for fans of George R. R. Martin’s A SONG OF ICE AND FIRE and HBO’s GAME OF THRONES, this one-of-a-kind colouring book features more than forty-five exclusive illustrations! In a world where weddings are red, fire is green, and debts are paid in gold, countless images leap off the page (or the screen) thanks to the eye-popping intricacy of the vivid settings and details. 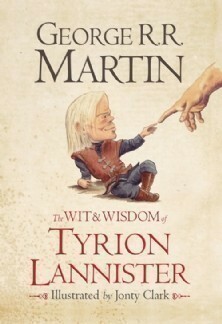 Now, for the first time, fans of this blockbuster saga can fill in the blanks and marvel as this meticulously imagined universe comes to life, one sword, sigil, and castle at a time. 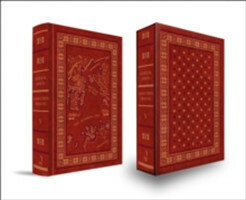 With dozens of stunning original black-and-white illustrations from world-renowned illustrators Yvonne Gilbert, John Howe, Tomislav Tomic, Adam Stower, and Levi Pinfold, this unique collector’s item expands the reach of an international phenomenon with flying colours.